The indomitable Megalodon. The only one like this I've ever seen. 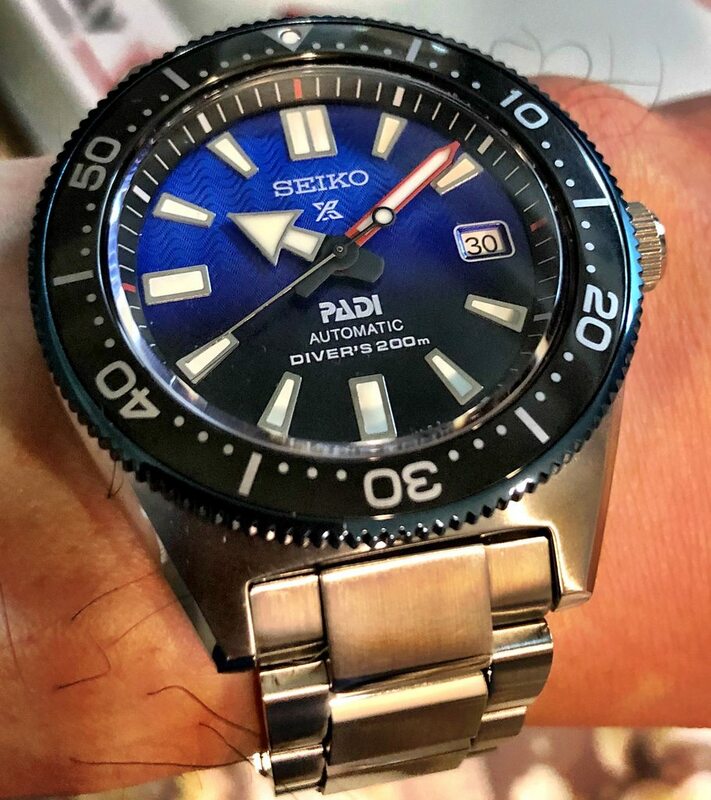 Sapphire bezel insert. 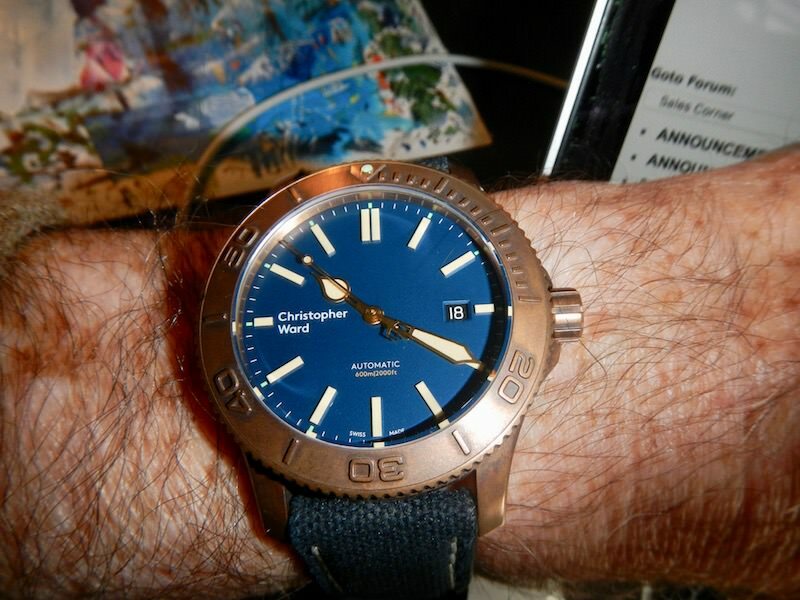 Bucherer ScubaTec. The skeleton portion of the hour hand I had filled in with lume. Why skeleton hands on a diver? In certain light, it's one of my favorite blues. 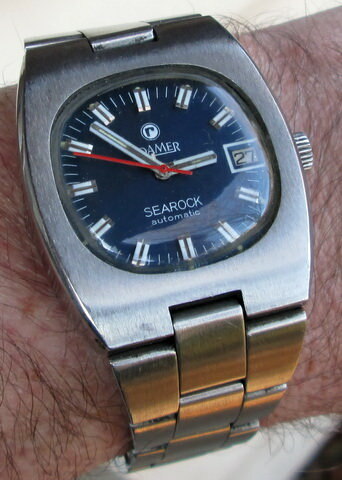 ...This is one of my favourite vintage models equipped with one. 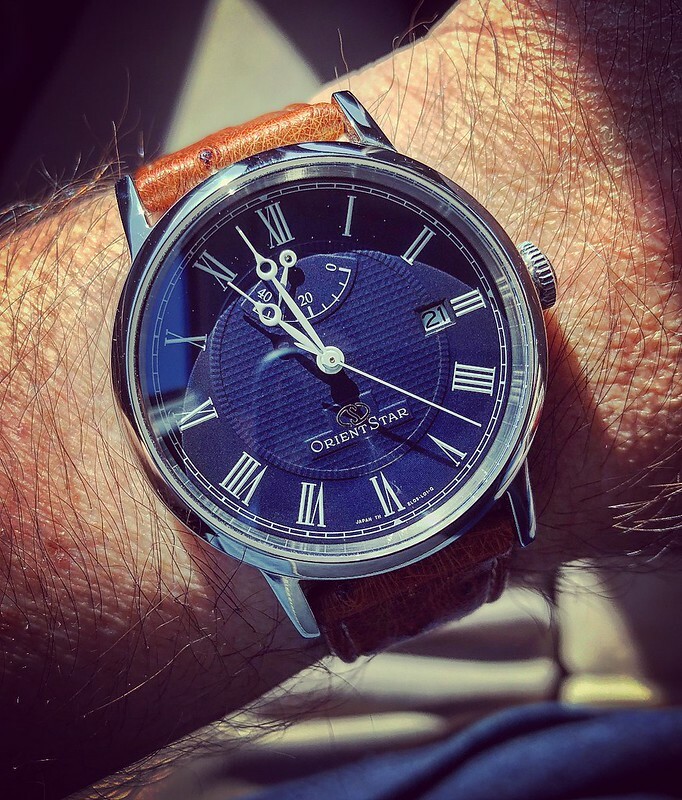 Not everybody likes vintage, and especially ones of this era with the bombé case, however I am fond of the old Yacht Club line, I think they are massively underrated. 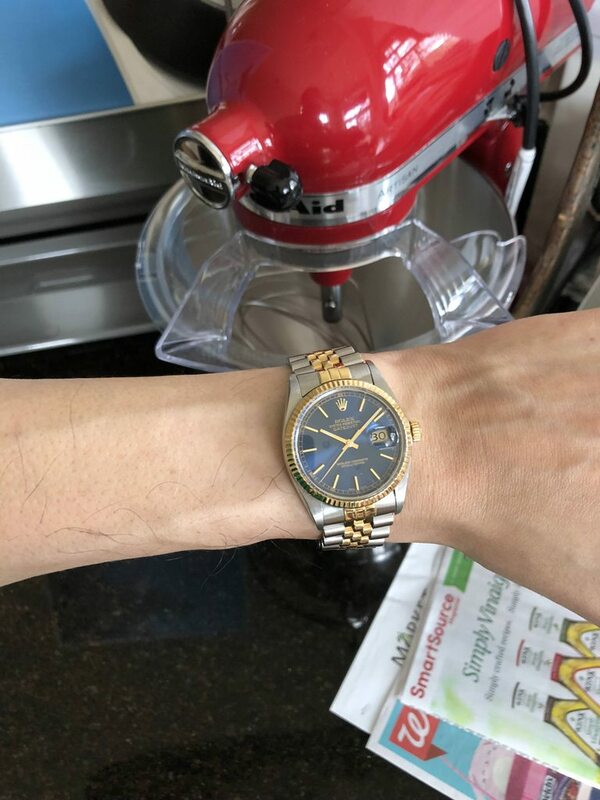 I have two blue dial watches. Happens to be wearing one this week. 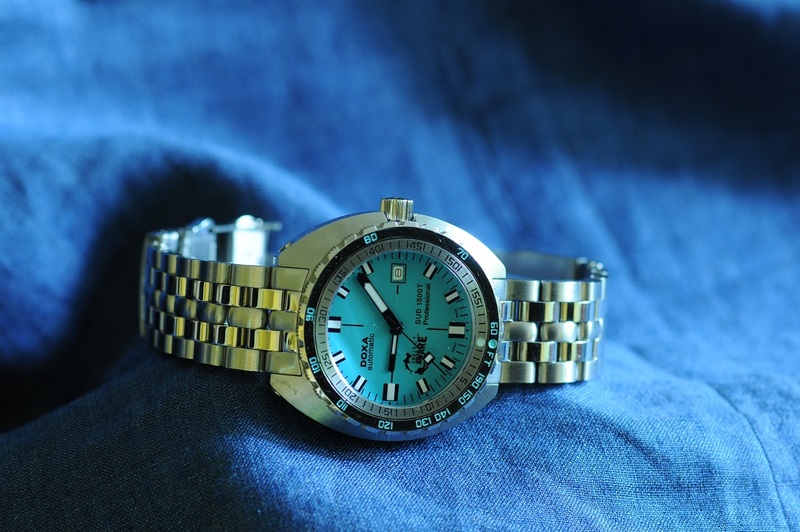 Tag Heuer Kirium Chrono. 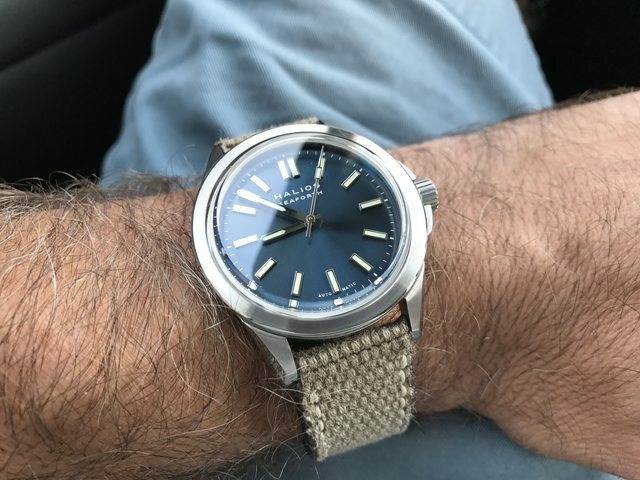 This is my beater, but damn the electric blue dial is nice! 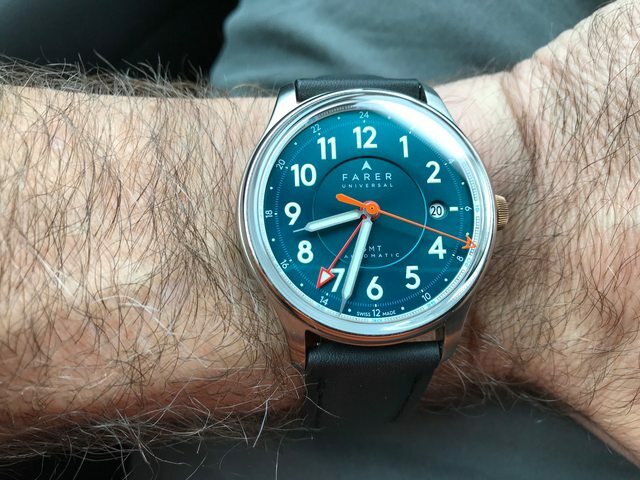 Glashutte Original PanoMatic Lunar, 39mm. 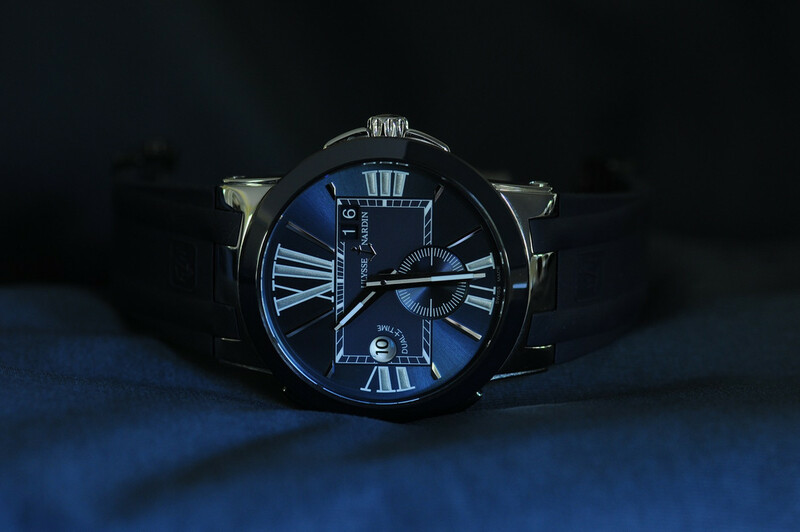 Beautiful blue dial. 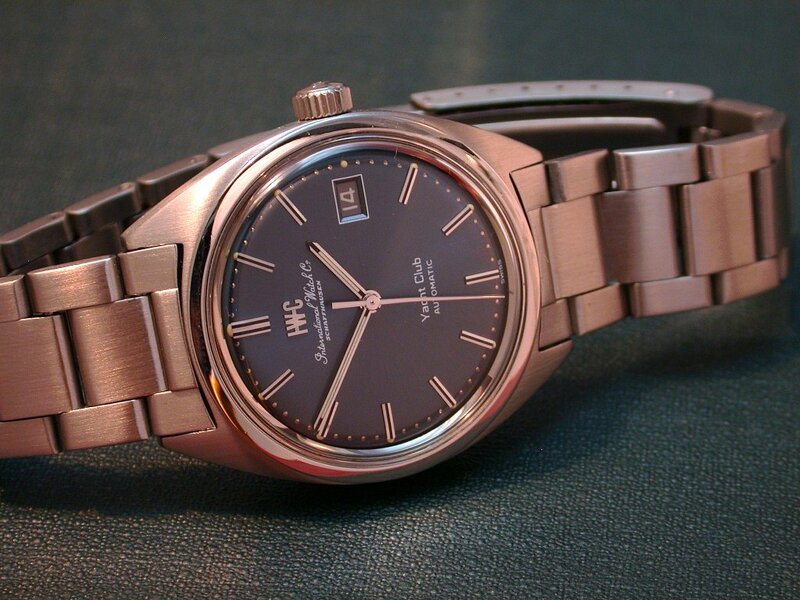 I miss this watch so much. My Sinn which I wear more than anything else. 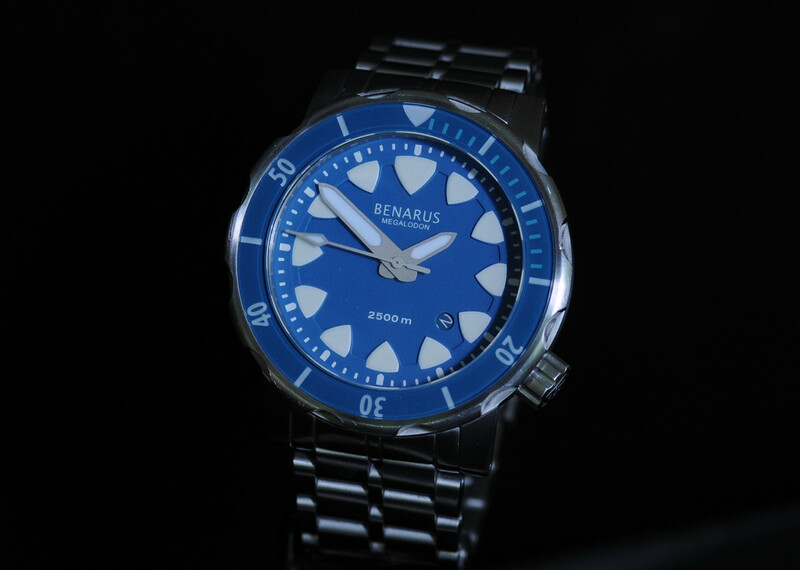 The blue dial is quite dark. 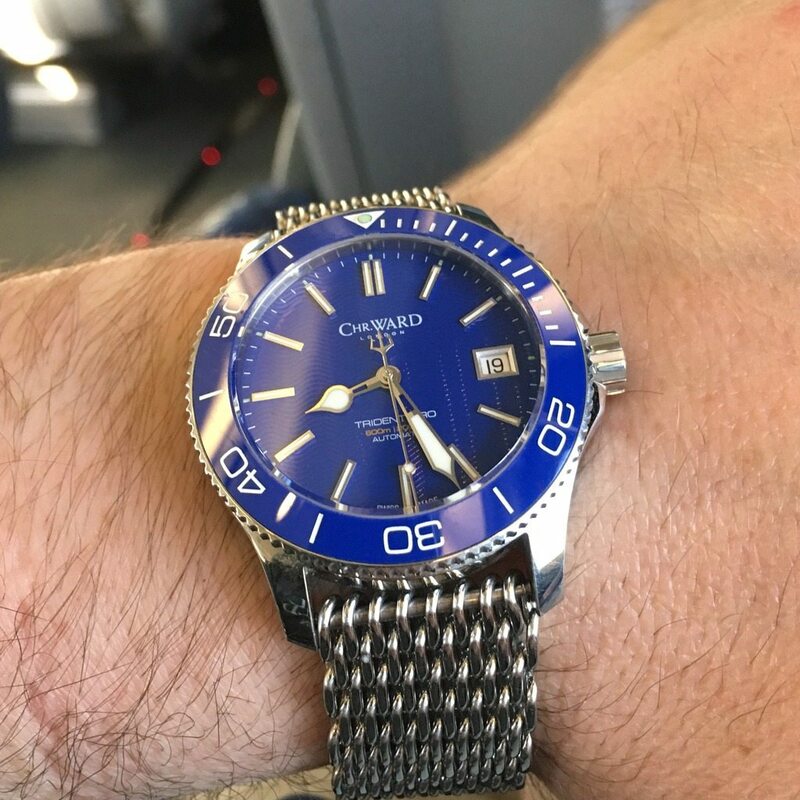 and my Ch Ward 38mm Trident Pro w blue ceramic bezel. 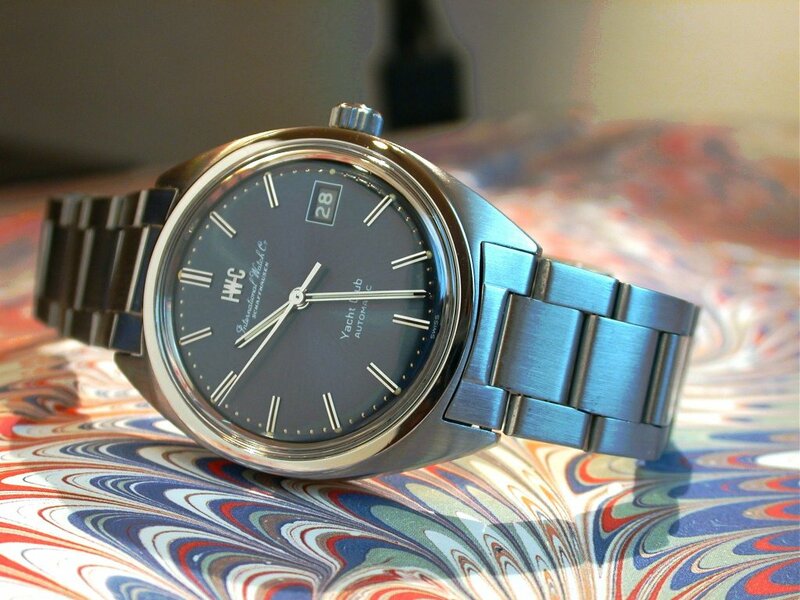 This was my got to weekend watch until I got the Sinn. It is much brighter! 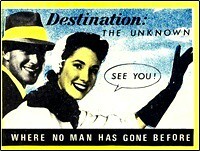 Count me in too...I LOVE that Yacht Club! 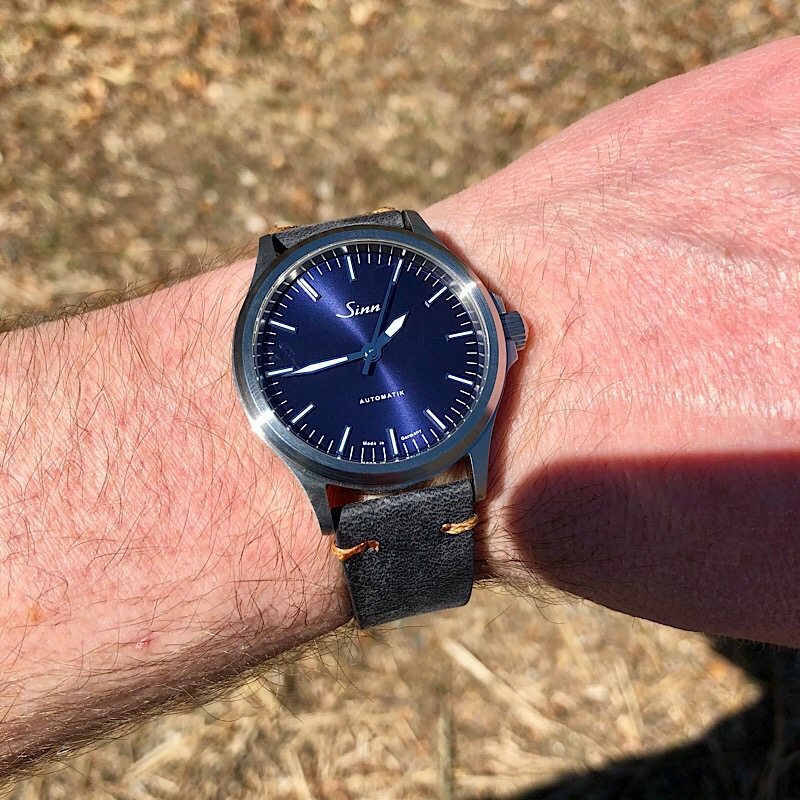 A dangerous watch to wear while driving--the temptation to stare at it in natural sunlight was strong! 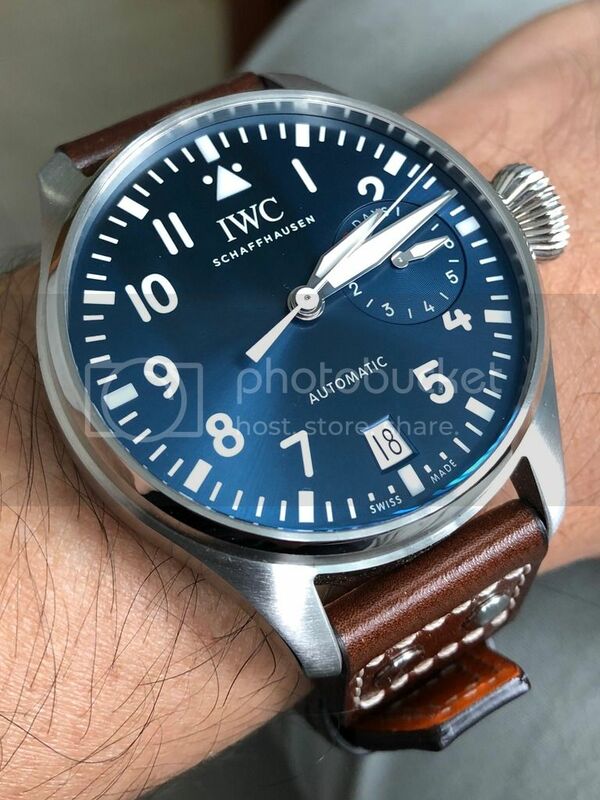 Puts to shame a great many ho-hum offerings that IWC currently offers. 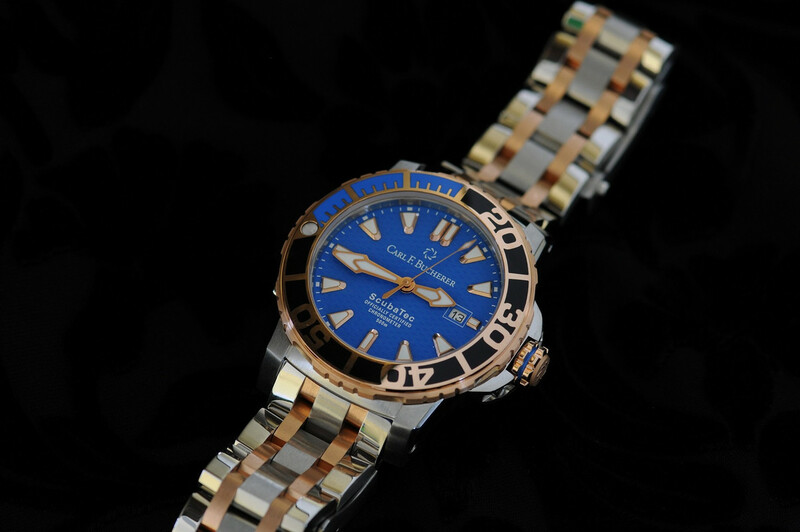 Bucherer ScubaTec's blue dial with gold/steel combination is fairly special. wow, I love the design on that UN.